For many people, camping is a way of life. For others, it is a great opportunity for nature vacation, combined with low-cost accommodation. Simplicity and carefreeness, with your partner, family, friends or even your pet, at a lodging right by the sea or in lush green areas, with the sweet breeze “singing” you to sleep in your cozy little tent, right under the stars. 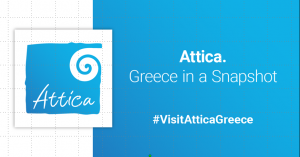 Organised campsites in Attica will offer you a genuine outdoor holiday experience, that will allow you to fully immerse into the region’s unique landscapes. In the mainland and islands of Attica, you will find organised campsites with modern facilities and services that satisfy all needs and preferences, of children and adults alike. From Sounio to Kythera and the Northern suburbs of Athens, you will camp in stunning landscapes without stepping out of your comfort zone. All you need to do is get your camping gear and supplies and prepare for the most fun and relaxing holiday of your life! In the Northern suburbs of Athens, in Nea Kifissia, you will experience truly relaxed and easy-going moments in beautiful nature, on the fringe of Mount Parnitha. A lush green location, a stone’s throw away from the centre of Athens, with pine trees and poplars shading your tent site, and an outdoor swimming pool to cool you off in hot summer! Enjoy the traditional Greek dishes served at the restaurant, the owners’ warm hospitality and the neat spaces of the campsite, that is open all around the year. Even closer to Athens, for travellers who wish to have easy access to the city centre and the port of Piraeus, a fully equipped campsite that is full of trees is located on Athinon Avenue, just 7 kilometres from Athens. Family-friendly atmosphere, traditional Greek hospitality and sparkling clean facilities ensure the utmost comfortable and fun stay. In Varkiza you will pitch your tent in a beautiful place over a wonderful little creek, with panoramic view of the crystal blue waters of the Saronic Gulf. It truly feels like an island, here. Friendly atmosphere, modern facilities and comfort, water sports, such as scuba diving and windsurfing, and all day music creating a wonderful ambience. In Sounio, near the world-famous Temple of Poseidon and the ancient town of Lavrion, you will stay at a campsite that is right next to the breathtakingly beautiful sandy beach, with crystal clear waters that are ideal for fishing and windsurfing. Dense shade by tall pine trees to set up camp or rent a pre-pitched, fully equipped tent or even a caravan. Modern and clean facilities and amenities for comfort and enjoyable stay throughout the year. A visit to the nearby Lavrion Technological and Cultural Park will thrill children, who will have the chance to participate in unique activities and adventures in beautiful nature. A stone’s throw away from Rafina port, in Nea Makri, you will set up camp by the wonderful pebble and sand beach, under beautiful olive and palm trees. The eco-friendly and pet-friendly campsite is open all year and is ideal for families who seek to have a quiet and carefree outdoor vacation, right be the sea. Amid beautiful dense trees and right on Schinias beach, one of the best beaches of Attica, the campsite in Marathon will offer you the most relaxing moments in nature. Enjoy your favourite water sport, stay in a shaded tent or caravan and visit the nearby sights of great interest: the Archaeological Museum and the Lake and Dam of Marathon, the Attica Zoological Park, as well as the Olympic Rowing and Canoeing Centre and the National Park in Schinias. In the picturesque seaside village of Kapsali, in Kythera, you will stay at a beautiful campsite in a pine forest, overlooking the stunning bay in the South of the island, the islet of Hytra and the Cretan Sea. Here you will experience the happiest and most relaxed moments in nature, and enjoy the delight of the crystal blue waters of the sea. The campsite’s modern infrastructure and amenities, along with the friendly and hospitable atmosphere, complete the utmost genuine and memorable camping experience on this beautiful island.